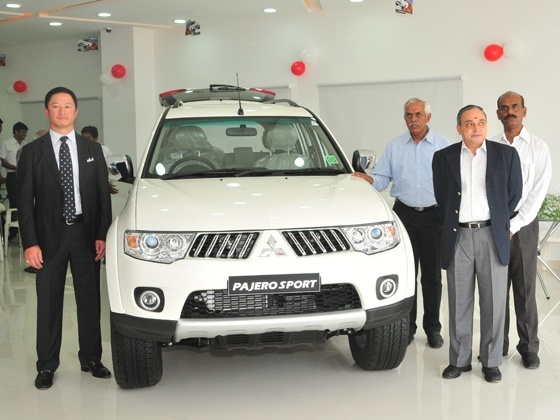 Mitsubishi is association with Hindustan Motors has opened its 42nd dealership in the country in Hyderabad. Spread over 3000 sq. ft the new Mitsubishi showroom is located in Hyderabad at 1-10/4, 1-10/4A & 1-10/4B, Madhapur. HM Mitsubishi has also setup a 12000 sq. ft service workshop located at Jai Hind Enclave in Madhapur that comprises of 12 bays along with a 300-sq. ft section for spare parts business. The workshop has the capability to service 25 cars in a day. P. Vijayan Chief Operating Officer and Strategic Business Unit Head of HM’s Chennai car plant said, “It is indeed a pleasure introducing world class Mitsubishi vehicles to this historic city which has over the years emerged also as a renowned hub of technology and business. We are confident that our vehicles will add a new dimension to the lives of Hyderabadis. No wonder, our latest vehicle, Pajero Sport, has as its tagline the phrase: Go. Play”. Watch out Mini's new showroom in Hyderabad and Rolls Royce new showroom at Hyderabad.